Social media has become immensely popular with people of all age groups, be it teenagers, homemakers, working professionals and the retired. 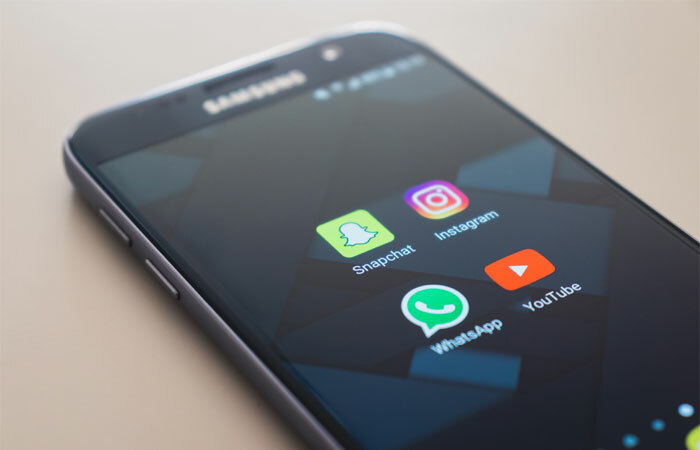 And due to a rise in smartphone usage, it has become easier than ever to access these social media platforms and interact with friends, family, acquaintances, and peers at the touch of a button – leading to a steady rise in the number of people who are addicted to social media. Like it or not, social media has become so popular that people cannot get their eyes off them. While there is no denying that social media websites such as Facebook, Twitter, LinkedIn, YouTube, Google+, and Instagram, etc., have changed the way we communicate, share, create, and interact on the virtual plane, a bigger question still remains – Is this dependence and involvement with social media all good or has it gone too far? If you look around you, you will find a majority of individuals hooked on to their phones, Ipads or laptops, checking Twitter updates, adding new Facebook status updates, uploading latest pictures, et al. While traveling, in office, at a social function or at home with the family, many of us have a constant need and desire to log on to our favourite social media websites just to read what others are talking about. A large number of people are either getting addicted to social media or are already addicted and hooked to social media, so much so that they spend a large part of their day on these websites. Many even end up compromising on their sleep and ignoring their work. HOW TO AVOID SOCIAL MEDIA ADDICTION? No matter what it is you do in life and irrespective of whether or not you go out to work, you must know the importance of prioritizing your daily routine. Don’t ignore your priorities in favour of surfing the net and wasting precious time, checking other people’s status updates. Make a conscious effort to realize and understand that the time wasted on Facebook, Twitter, etc., could be easily spent on acquiring new skills, improving your business, learning something new or spending quality time with your family members. A lot of social media addicts waste a considerable number of hours each day checking status updates on social media websites without even realizing it. If you want to avoid getting addicted to social media, start keeping a tab on the actual time you spend on these websites. If you are conscious about the number of hours you are wasting every day, you are bound to take steps to control such blatant wastage of precious time. Curb your desire to log in to your Facebook, Twitter or Instagram accounts, first thing in the morning. Instead, complete your important work first. If in-between you’d like to take a short break, you can spend some time on social networks. This is a tried and tested method to avoid getting addicted to Social Media. If you are finding it difficult to concentrate on your work and often find yourself checking your phone at work, make a conscious decision to block these websites. The logic behind this is pretty simple yet mighty powerful – if you can’t access these websites, you won’t be wasting your work hours on them. If you’re serious about improving your productivity at work and minimizing distractions, you can consider trying out an internet and website blocker called Freedom (works on iPhone, iPad, Windows and Mac computers) which will help you to boost your focus and concentrate on the task at hand.